The Leadership Team consists of the Leadership Team chair, chairs (alternates are permitted) of the Ministry Teams, the chair of the Deacons, the Moderator and the senior pastor. The Church Clerk, the Treasurer, and other pastoral staff members shall be ex-officio without vote. Every ministry Team is expected to be represented at all Leadership Team meetings. The chairperson of the Leadership Team shall be called for a three-year term by the Congregational Gathering. The vice-chairperson shall be nominated by the Leadership Team and called for an annual term by the Congregational Gathering. A chairperson-elect shall be nominated by the Leadership Team and called for by the Congregational Gathering following the second year of the chairperson’s term. The church clerk will serve as the secretary of the Leadership Team. Members from the Ministry Teams shall serve one year terms not to exceed five terms in succession. The Leadership Team shall be invested with administrative powers to plan, coordinate, integrate, and supervise the ongoing program of the congregation. It is primarily responsible for program, long-range planning, initiation or discontinuation of programs, and the setting of goals and objectives. It shall be empowered to act on behalf of the Congregational Gathering except for those actions specifically reserved for the Congregational Gathering as set forth in these policies and procedures. All actions by the Leadership Team shall require a majority of affirmative votes constituting no less than six affirmative votes. The Leadership Team is accountable to the Congregational Gathering. It shall assure that the mission and vision of the congregation are fulfilled by encouraging and empowering the development of new ministries by individuals and groups and also by evaluating existing ministries and modifying or discontinuing them. These ministries shall aid in fulfilling the mission and vision of the congregation and shall be faithful to the Church of the Brethren heritage and its understanding of the New Testament as the rule of faith and practice. The Leadership Team shall meet regularly or as often as necessary. 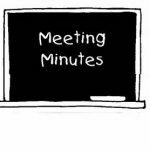 Special meetings may be called by the Leadership Team Chairperson, the Moderator or the Pastor. Ministry Teams shall meet regularly or as the Leadership Team may direct. The Leadership Team may authorize short-term project teams to carry out specific assignments. When the specific assignment is achieved, the project team shall be dismissed by the Leadership Team. Acting as representatives of the Congregational Gathering in negotiations with current and prospective employees and, in the case of pastors, submitting those recommendations to the Congregational Gathering for consideration and approval. There are many opportunities to support the Leadership Team. Participating in initiatives that result from goals set at our annual Leadership Team Retreat is valuable and provides feedback for future direction. More than anything though, we need your prayers. Please pray for the Leadership Team and the fruitfulness of this ministry. We hope to facilitate the many ministries of Hempfield Church of the Brethren, to grow our church, and to bless the world. We cannot do that without God’s blessing, and we ask you to join us in praying that He would use all of our efforts for His glory. We value your thoughts, concerns, opinions and praises. If you ever have a suggestion or see an area where we can improve, we’d love to know about it. Please feel free to contact us through the form on the left side of this page. We appreciate your time and concern, and we take your correspondence seriously.